Exo (Korean: 엑소; stylized as EXO) is a South Korean-Chinese boy group based in Seoul. Formed by S.M. Entertainment in 2011, the group debuted in 2012 with twelve members separated into two subgroups, Exo-K (Suho, Baekhyun, Chanyeol, D.O., Kai, and Sehun) and Exo-M (Xiumin, Lay, Chen and former members Kris, Luhan and Tao ), performing music in Korean and Mandarin respectively. Exo's first album XOXO (2013), which contained the breakthrough hit "Growl", was a critical and commercial success, winning both Disk Daesang at the 28th Golden Disk Awards and Album of the Year at the 15th Mnet Asian Music Awards. It sold over one million copies, making Exo the best-selling Korean artist in twelve years. 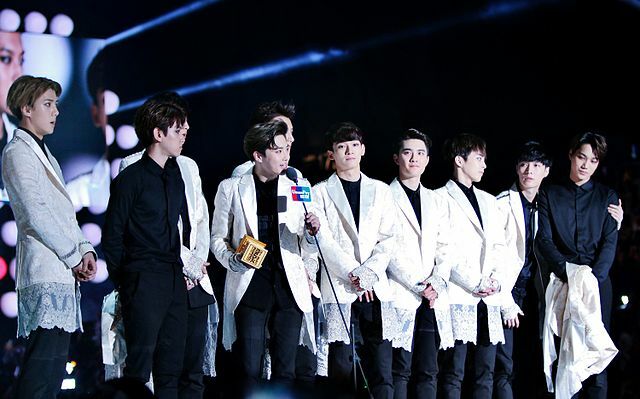 Subsequent albums and EPs continued with strong sales, and Exo were ranked the most influential celebrity by Forbes Korea Power Celebrity for the years 2014 and 2015. They have been named "the biggest boyband in the world" by media outlets. All Sehun wants is a fresh start, but can his wish ever come true? Can Kai truly be redeemed, or is it too late? Where is the point of no return for the both of them? Characters Kim Sun Min, Lee Taemin, Kim Jonghyun, Kim Ki Bum (Key), Choi Minho, Lee Jinki (Onew), Kim Myungsoo, Nam Woohyun, Lee Sungjong, Lee Sungyeol, Kim Sunggyu, Kevin Woo, Suho, Baekhyun, Chanyeol, D.O., Kai, Sehun, Kris, Xiumin, Luhan, Lay, Chen, Tao. After the events that happen in their hometown, Sun Min and her friends find themselves in deeper trouble. Not only were they haunting for Hye Kyu, they were being haunted. Characters SHINee (Onew, Jonghyun, Key, Minho, Taemin, Xandra (Original Character)), SMTOWN, etc.